After releasing his evocative new single “No Wrong, No Right” featuring Grammy-award winning musician Robert Glasper and acclaimed singer-songwriter James Fauntleroy, Terrace Martin returns to unveil the song's accompanying video. The high caliber duo of Glasper and Fauntleroy provide a solid assist on the emotive song in which Martin explores the nuanced complexities of relationships, moral quandaries and catch-22 relationship scenarios. Directed by Furis and Ken Nana and featuring Martin, the video fittingly matches the song's brooding tone and melodic vibe. 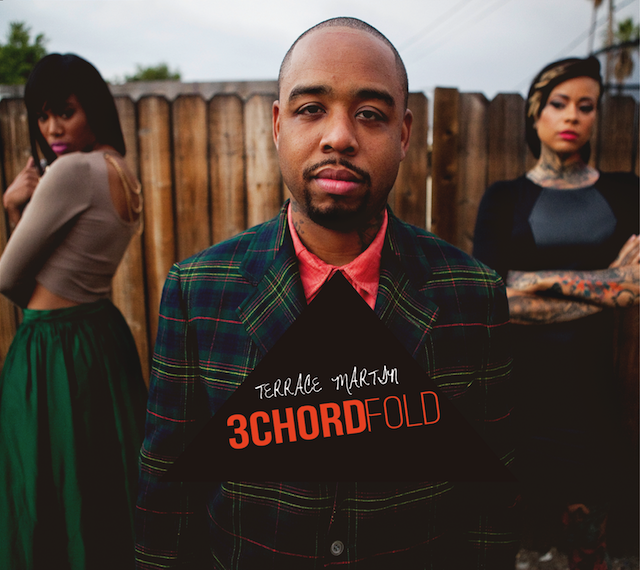 The single will find its home on Terrace's upcoming LP, 3ChordFold which is slated to be released August 13. Described as a cross between Quincy Jones' Back on the Block and Dr. Dre’s 2001 albums the album is expected to sonically bridge the gap between jazz and hip-hop. The project will feature songs co-written and producer by 9th Wonder, as well as guest appearances from Glasper and Fauntelroy, Problem, Musiq Soulchild, Lalah Hathaway and Ab-Soul. James Fauntleroy pours out his soul on "Miami Rain"
James Fauntleroy fuses politics with emotion on "American Eagle OG"
Fall in love with James Fauntleroy's latest track "Fell in Love"
Taylor McFerrin and friends impress with jazzy cut "Already There"